I just love watching/reading about people who manage to do this but unfortunately we don't do well with it. Most of what we eat we don't find coupons for but we do use the ones we can. I'm impressed, too! This is absolutely amazing. I can't seem to use coupons before they expire. I must need to plan a little better. Truely amazing! I've seen this woman before and was inspired by her. I always carry envelopes of coupons organized by category in my purse. I think the most money I saved was close to $40 in coupons. It's so gratifying seeing the total number on the cash register go lower and lower and lower while they are scanning your coupons! Love it! For some reason, I'm only good with coupons at Babies R Us...nowhere else. Actually, everywhere else, they end up COSTING me money because I buy stuff I don't need to use the coupons! I paid $4 for $20 worth of groceries today at Harris Teeter. It takes some planning but it can totally be done. And I liked it so much, I put a picture on my facebook page! This is awesome. We generally save quite a bit on our grocery trips, sometimes up to 65%. It was really nice when our local store was tripling coupons up to $.50 and doublng anything up to $1. I'm always super proud of days like this and then so disappointed when we have to make a quick run for something we need and don't have a coupon for. Guess I should just be thankful for the savings on the bigger trips! It's encouraging to know that many of you know how to do this. I'm still learning the ways, and like Amy, often buy things I don't need just because I have a coupon! Really need to stop doing that. I'm going to buy a mini accordian folder soon so I can carry coupons organized by category in my purse. WOW! She puts my small organizer with a few coupons to shame! I started couponing 7 months ago and it has changed my life! In 2008 I averaged $660.00 per month for my family of four. Now, I spend $75 week! That's $4320 per year in savings! I started teaching classes just to share the information because it is so amazing! I hope it works for you. Writer, wife, and mom to two baby girls. As of 2013 I'm no longer brunette (blond ambition!) nor on a budget. I love shoes, wine, Palm Springs, and Barry Gibb. As always, I'm still looking for my lost shaker of salt. 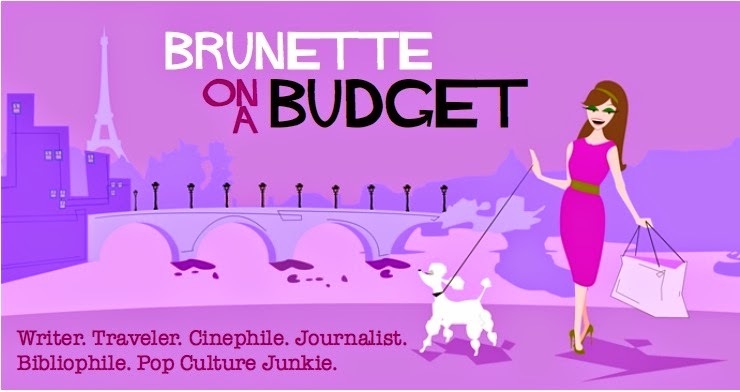 Email me at brunetteonabudget [at] gmail [dot] com. I did it. I quit my job. The new "it" fabric? Burlap. What happens when the empty nest isn't so empty? Have discounts gone the way of leggings? Is grad school worth it in This Economy? Tipping: An insult in Japan, expected in the U.S.